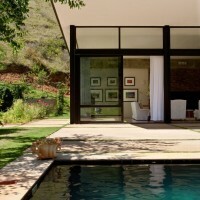 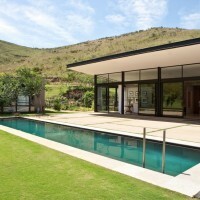 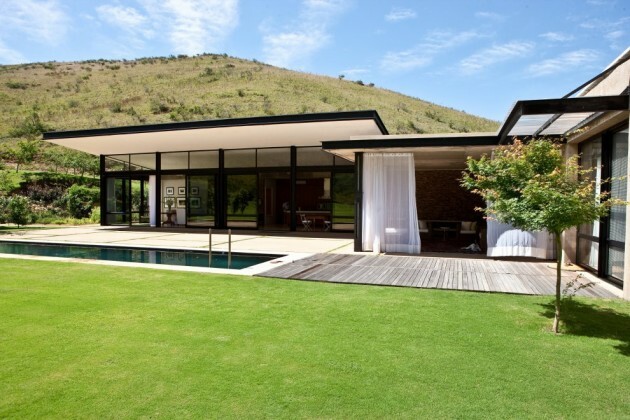 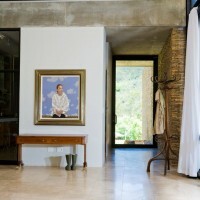 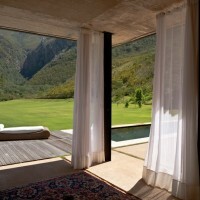 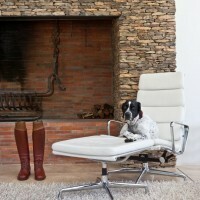 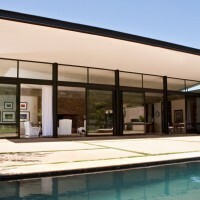 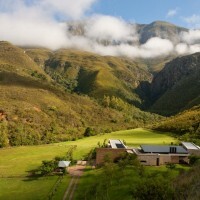 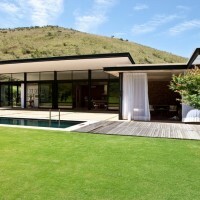 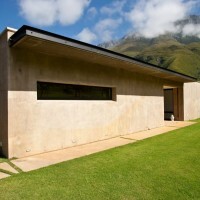 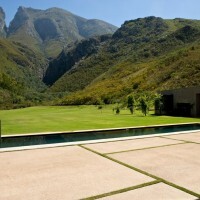 GASS Architecture have designed the Swellendam house in rural South Africa. 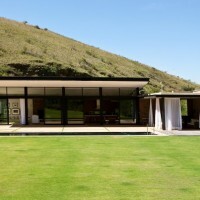 The buildings that comprise the house, while simple in form and texture, are intentionally oriented on the site to engage the surroundings. 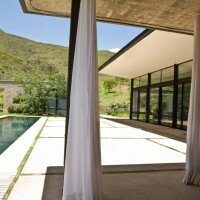 The house is composed of three discrete box structures forming three edges of a private courtyard. 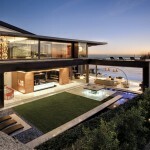 The largest box form contains the public areas – the entertainment, living, and kitchen spaces. 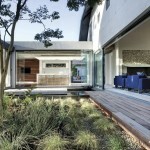 This box, with its glass façade and uplifted roof, opens itself up completely to its surrounding. 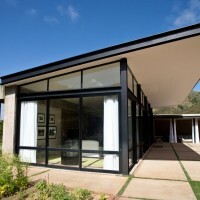 In contrast, the smaller boxes, flanking to form either side of the courtyard, include the private domains of the bedroom and bathrooms, and on one side, a movie room. 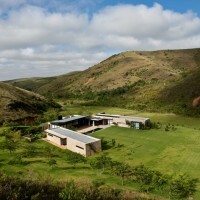 These buildings are made of thick masonry walls and concrete roofs, which form cave-like, intimate spaces where one can retreat for solitary quietude. 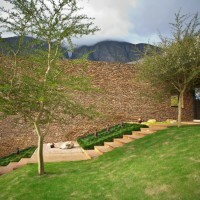 The purposeful orientation of these three buildings as perimeters to a courtyard creates a spatial relationship with the mountains, which, in essence, form the last perimeter of the courtyard. 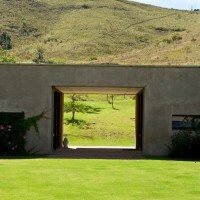 Moreover, the structural and material qualities of these buildings, accentuated even further with the line of the main roof structure ascending towards the sky, is in direct dialogue with “God’s Window” – as if the earth were communing with the heavens. 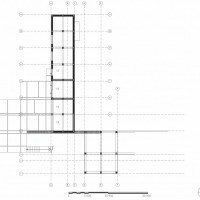 Visit the GASS Architecture website – here.